subjack is a Hostile Subdomain Takeover tool written in Go designed to scan a list of subdomains concurrently and identify ones that are able to be hijacked. With Go's speed and efficiency, this tool really stands out when it comes to mass-testing. Always double check the results manually to rule out false positives. subjack included scanio.sh which is kind of a PoC script to mass-locate vulnerable subdomains using results from Rapid7's Project Sonar. 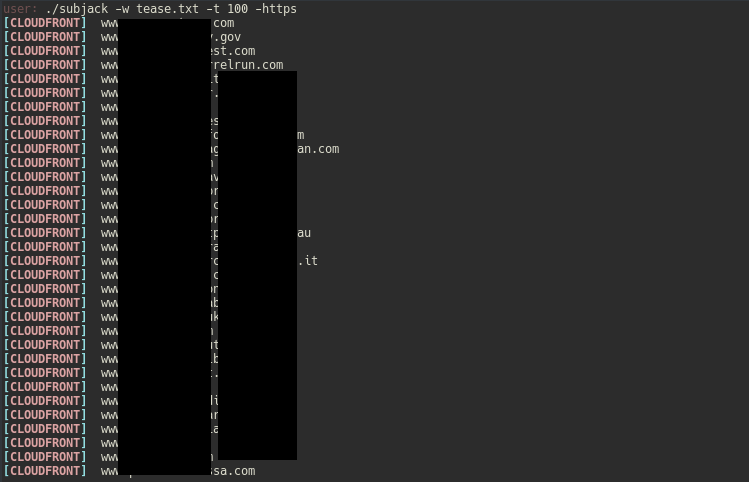 This script parses and greps through the dump for desired CNAME records and makes a large list of subdomains to check with subjack if they're vulnerable to Hostile Subdomain Takeover. Of course this isn't the only method to get a large amount of data to test.